Vertical Gallery is Chicago's premier urban-contemporary art gallery. 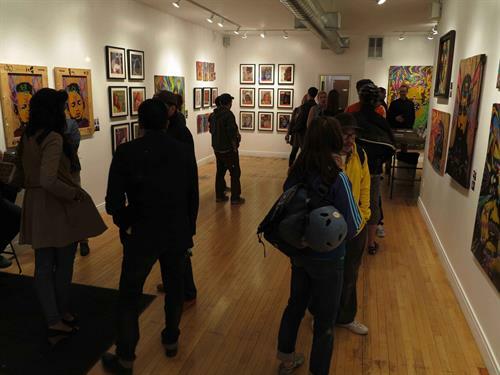 Established in 2013 in the Ukrainian Village neighborhood, the gallery focuses on work influenced by street art, urban environments, graffiti, pop culture, graphic design and illustration. New monthly exhibits highlight significant emerging and established local, national and international artists. You may view and purchase past and current work either in the gallery space or online. Vertical Gallery also consults on creating personal and corporate collections, and secondary market artwork.